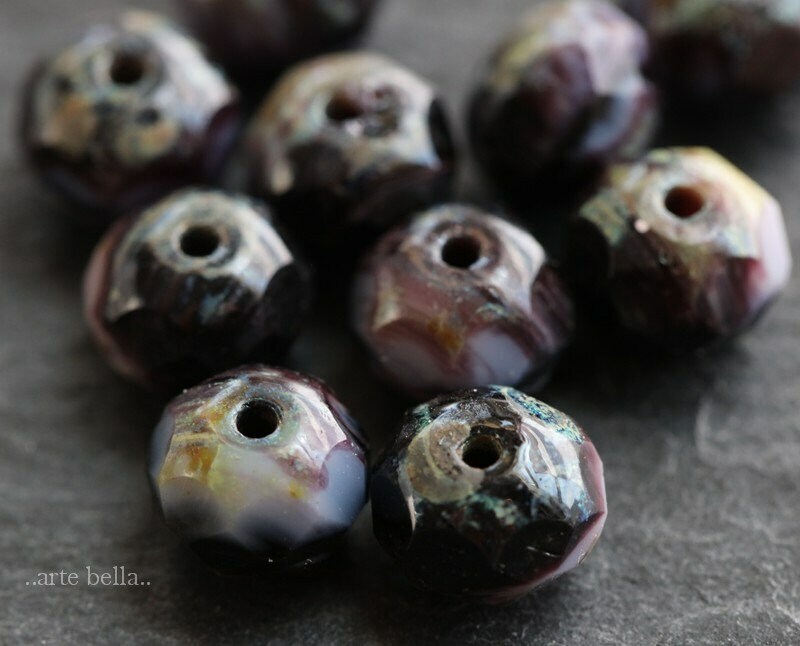 Darkest translucent and opaque varying shades of purple glass with an earthy Picasso finish, fire polished facets. 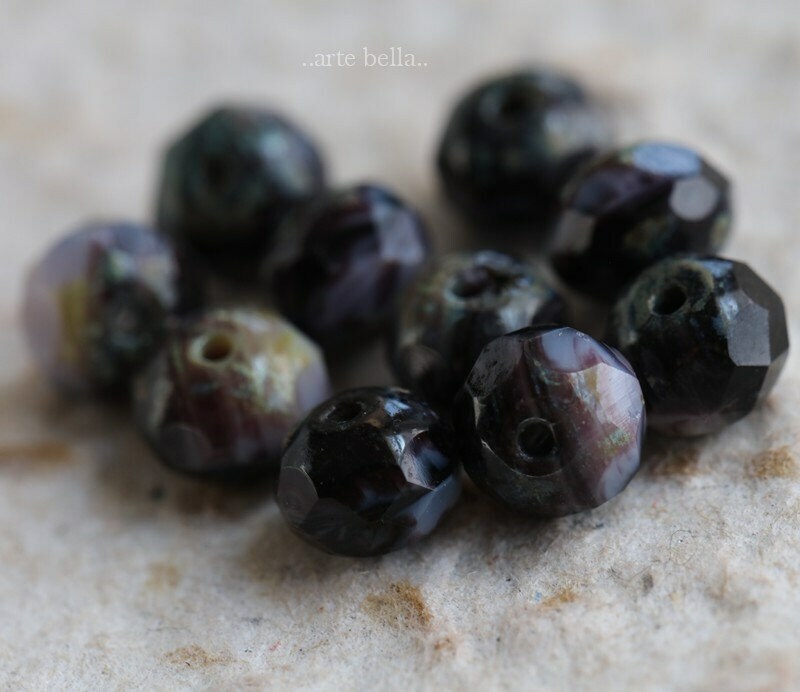 The purple appears black until back-lit. 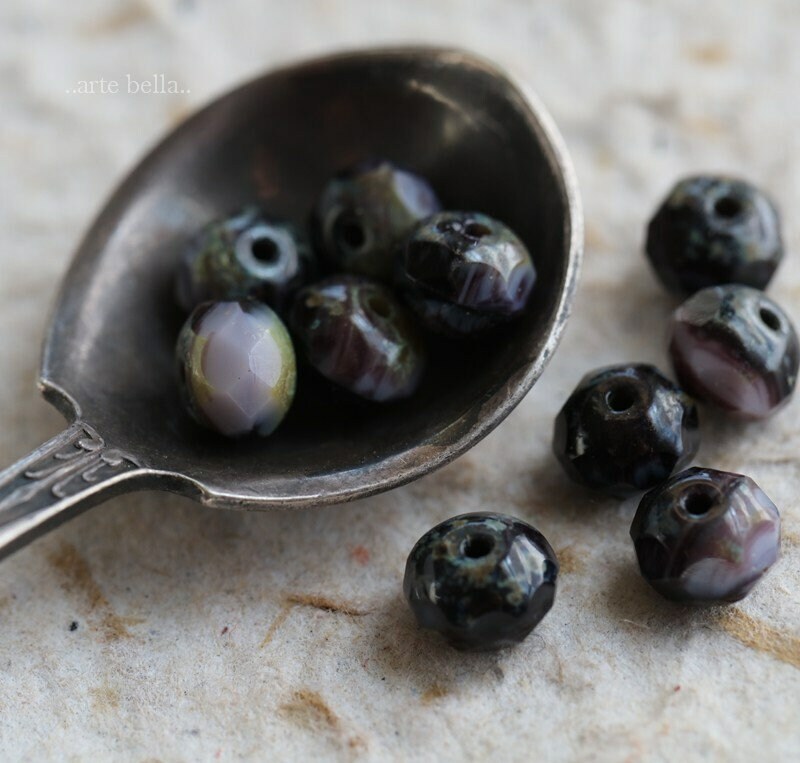 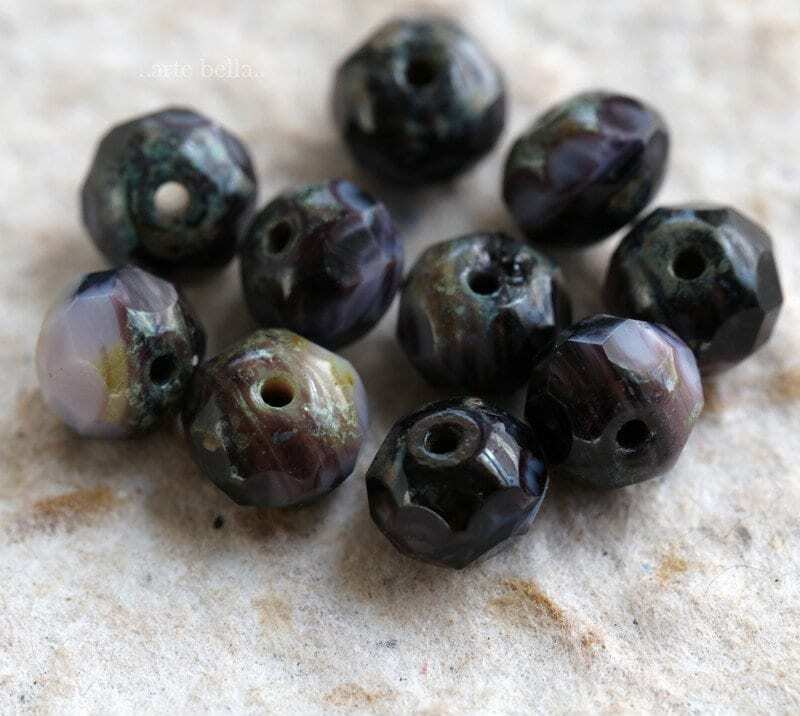 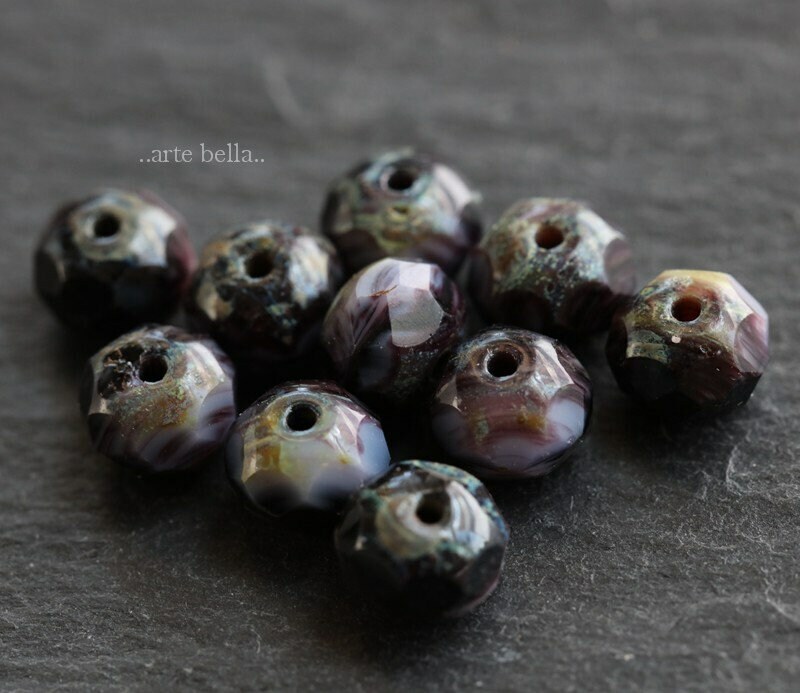 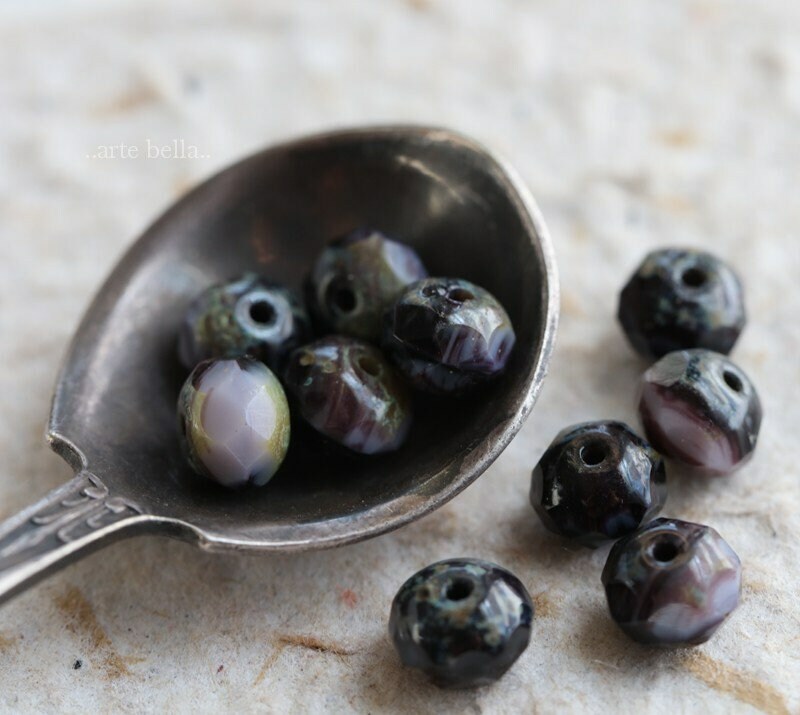 ArtebellaSurplus always has the best selection of Czech Picasso beads and these are stunning!